1. A glass of fresh-squeezed orange juice is the best way to get vitamin C.
2. Washing your hands on a regular basis will help support a healthy immune system. 3. The perfect excuse for drinking a hot toddy is when you are a little congested. 4. Sleeping with half an onion at your bedside can help support your immune health. 5. A bowl of chicken noodle soup is more than just magic when it comes to strengthening your natural defenses. 6. You should add zinc to your diet. 7. You need to drink plenty of clear soda when you’re feeling under the weather. 8. You should stay in bed. All day. We all have that friend who reads too much. The one that finds articles in the dark corners of the internet and insists that they found the undiscovered key that could help support a healthy lifestyle. Or, maybe it’s your eccentric Aunt Margot who swears by her health remedies that have been passed down for generations. In either case, we can’t help but wonder…”Do they really work? !” So we did some sleuthing on some of the top health remedies to find out if they are fact or fiction. You’ll be surprised by what we found! Fresh-squeezed orange juice contains plenty of vitamin C, but it’s also packed with sugar. It’s certainly a good place to start, but there are better options. As you know, vitamin C is a powerful antioxidant that can help support your immune system. However, instead of reaching for the nearest citrus fruit or juice, grab a red bell pepper. 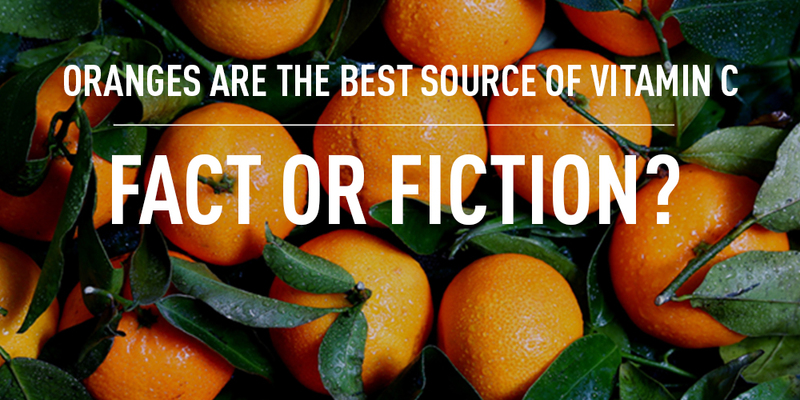 They contain nearly 2x the amount of vitamin C compared to an orange. This one may be a bit more obvious, but it’s really important and shouldn’t be overlooked. Research shows that having clean hands is one of the best ways to help support a healthy immune system. Just be mindful of the type of soap you’re using. Dr. Stewart Levy, a microbiologist at Tufts University, believes overuse of antibacterial soap is a cause of “superbugs” (bacteria that are extremely resistant to antibiotics). He suggests hot water and regular soap work best with about 20 seconds of scrubbing. A hot toddy is believed to decongest and help you sleep. So in a way, there’s a little bit of fact to this remedy. It can help decongest your nose and chest—primarily because it’s hot. But a hot toddy as a health remedy is mostly fiction. Alcohol does not help you sleep better. In fact, a study involving over 4,000 people showed that even a single alcoholic drink can significantly decrease your quality of sleep. A better solution is to considering ditching the bourbon (sorry) and drinking hot tea with lemon and honey. Onions are thought to absorb viruses and bacteria. It’s an odd belief that’s been passed down through the ages and even across different cultures. Other suggestions include hanging onions in a room or placing cut onions on plates throughout the house. Many people have faith in their ability to act as tiny vacuums that clean your air. But germs are spread through contact (or when moisture is quickly expelled via a sneeze or cough), so leaving onions around your house won’t help. Chicken noodle soup made our curated list of Top 5 Immune Supporting Foods. It provides a wide array of nutrients in a single dish, plus the steam helps with decongestion. It’s an old standby you should keep standing by. 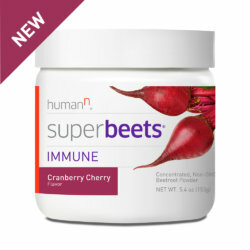 Zinc can help support a healthy immune response. There are certainly options for supplements, but the best place to start is with food. Perhaps unsurprisingly, chicken is a good source of zinc. Add another point for chicken noodle soup! Is it a great idea? No. Does it work? Maybe. It really depends on you. You’re hydrating yourself—which is always important to supporting a healthy lifestyle. Your parents made you drink it. The second point is important because of the placebo effect. If you’ve been drinking it since you were young, you probably believe it’s going to make you better even though it might not be what’s really helping. Regardless of the type of soda you drink, there’s far too much sugar, which oftentimes isn’t helpful when it comes to helping to support your health. You’re better off drinking water with a pinch of high quality salt to help replace your electrolytes. You’re not doing anyone any favors by going in to work. Your body won’t thank you and your co-workers might end up temporarily shunning you (even days later). Besides, rest can help your immune system get to work. Better yet, laying down makes it easier for your blood to circulate to your entire body since it doesn’t have to fight gravity. However, it’s still a good idea to get up and walk every now and then to keep your blood moving. Yes, but there is an “if”. It can help in some cases, but you want to make sure you don’t overdo it. Exercising puts stress on your body. If you’re trying to build muscle or increase your cardio ability, it’s good. It’s not so good when you’re not feeling well though. In other words, don’t go to your spin class or get a CrossFit workout in. Your body doesn’t need more to recover from. If your body is running hotter than normal, you should consider avoiding exercising altogether. If you’ve found something new, try giving it a shot. You may wind up enjoying it more than your usual routine. If not, many of these are great conversation starters.